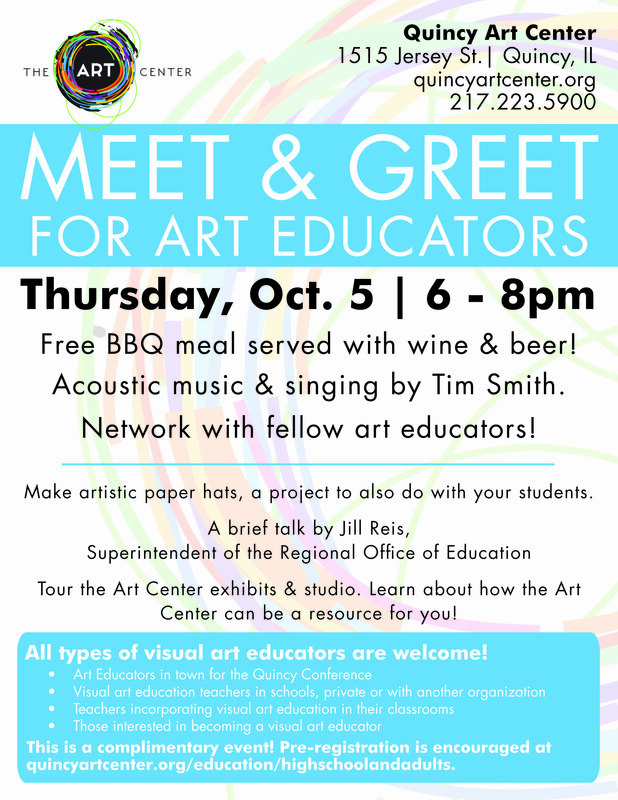 Visual Art Educators are invited to the Quincy Art Center for a Meet & Greet! There will be complimentary BBQ, wine & beer, and live music by Tim Smith! All types of visual art educators are welcome! This is a complimentary event! Pre-registration is encouraged. Please register for the Meet & Greet NOW!